It's important to always keep learning in our professional lives. No one knows it all! However, lack of time is a common issue among business owners and professionals. When you don't have time to sit and read or even take a course, podcasts can be a great way to fit learning into your everyday life. One thing I’ve always believed is that we are never done learning. Even the CEO of the biggest company in the world doesn’t know it all. No one does. Still, it today’s chaotic world, it’s hard to find the time to read a book or take a course that could help us grow, especially when you’re a business owner. Podcasts offer the perfect answer to this problem.Podcasts are an easy and enjoyable way to add learning into your everyday routine. Even on your busiest day, you can put a podcast on during your commute, pop your earbuds in at lunch or also have it on in the background while you work (like I like to do). These days there’s a podcast for every topic, but here are a few of my favorites for small business owners. Podcasts are an easy and enjoyable way to add learning into your everyday routine. Even on your busiest day, you can put a podcast on during your commute, pop your earbuds in at lunch or also have it on in the background while you work (like I like to do). These days there’s a podcast for every topic, but here are a few of my favorites for small business owners. Being Boss is a podcast for creative entrepreneurs, side hustlers, and freelancers, with hosts Emily Thompson and Kathleen Shannon. The Being Boss podcast covers an array of topics from how to manage your finances as a business owner to health and wellness. With a fun, friendly and honest tone, the podcast is easy to relate to, no matter what industry you are in. How I Built This from NPR is all about the spirit of entrepreneurship. Each episode follows the entrepreneurial journey of founders of some of the world’s biggest companies and brands. Getting to hear their narrative including their triumphs and failures gives the listener a fresh and detailed insight into how these founders came to their success. Most importantly it shows aspiring entrepreneurs and business owners that the path to success isn’t simple for anyone. If you’re looking for something a bit different, check out StartUp from Gimlet Media. Former NPR producer, Alex Blumberg hosts StartUp. The first two seasons follow the journey of Blumberg starting two businesses, Gimlet Media and a dating company called The Dating Ring. In subsequent seasons, one business is featured per episode. Entrepreneur on Fire (EOF) is a podcast which a lot of energy! Host John Lee Dumas interviews entrepreneurs like Barbara Corcoran, Seth Godin, Tim Ferriss and more. Each episode offers insight into their journey as an entrepreneur designed to give listeners strategies and inspiration they can apply in their own business. If you’re looking to get into more of a niche, the Social Media Marketing podcast is a great choice. From Social Media Examiner, the podcast airs weekly and dives into how successful businesses use social media today. Not only can listeners learn new strategies and tactics, but they also gain actionable tips to improve their social media marketing. 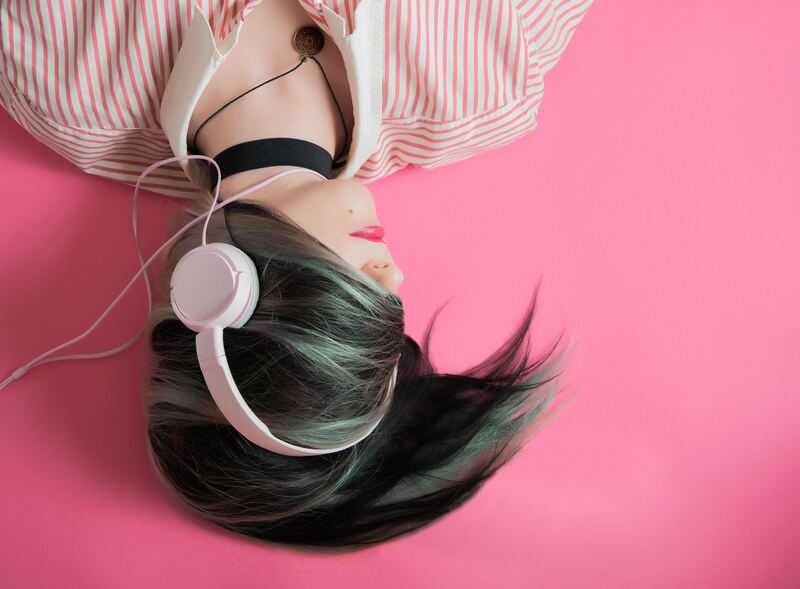 Test out a few podcasts to see which ones resonate with you most and incorporate them into your day. Comment with your favorite podcasts to listen to!